Come back, Old Ones... Princes of Darkness... and repossess the earth. The Dunwich Horror is a tale of birth and death and terrible creatures. 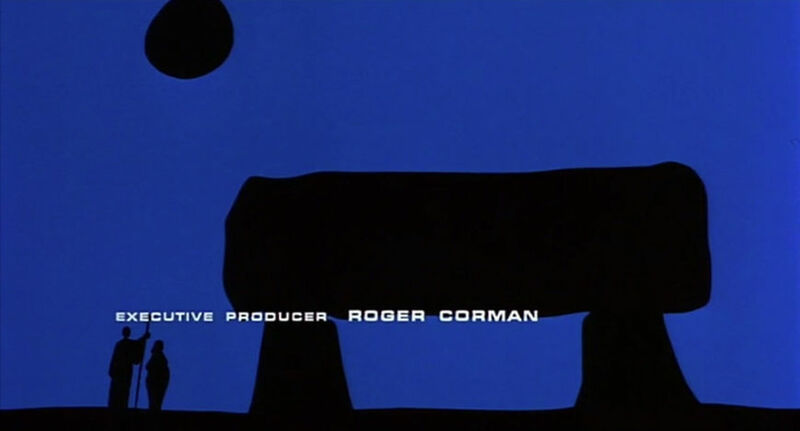 Based on the short story of the same name by H. P. Lovecraft, the minimalist graphic title sequence was designed by artist and graphic designer Sandy Dvore. 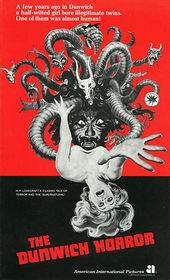 Dvore cut his teeth working with legendary B-movie producer and director Roger Corman, who first courted him after seeing Otto Preminger’s Skidoo (1968) and Dvore’s titles work therein. Skidoo was a light and saucy affair: comedic bickering, singing, boats, sunshine. The Dunwich Horror, on the other hand, takes its cues from the graphic minimalism of the 1960s, Lovecraft, and the terror of the unknowable. 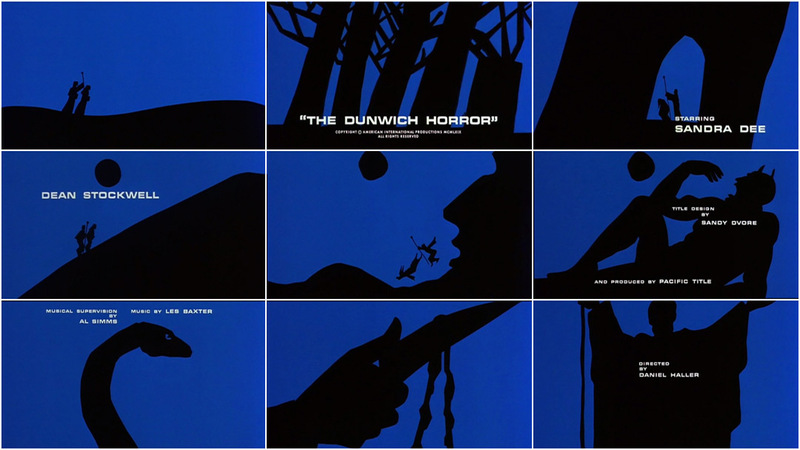 His first excursion into graphic animation, the titles to The Dunwich Horror cleverly blend themes from the film through scale and image morphing, each silhouetted form growing and shifting into another. The title sequence acts as prologue and as summary, explaining the cold open of a woman in labour and foreshadowing events to come. 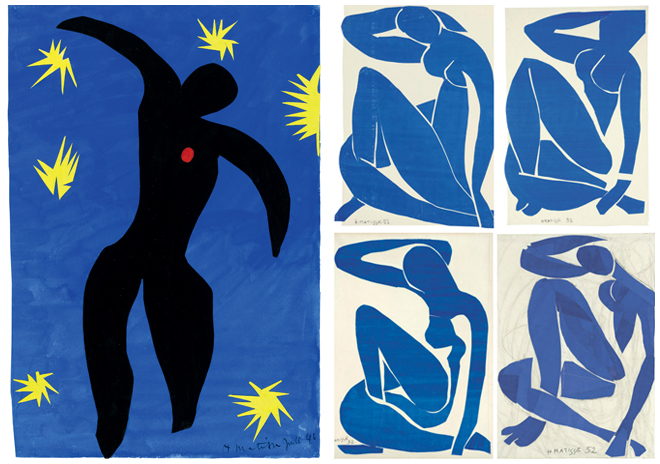 The style is reminiscent of leading graphic title designers of the 1960s like Saul and Elaine Bass and Maurice Binder, with hints of Matisse and his Blue Nudes cut-outs. The deep blue and black palette establishes a sombre sense of darkness, like a summer sky just before night sets in, while Les Baxter’s theme adds melancholy and grandeur. Also notable here, and in Dvore’s other sequences (Blacula, for example), is the use of type: an asymmetrical sort of placement, oblique and askew. 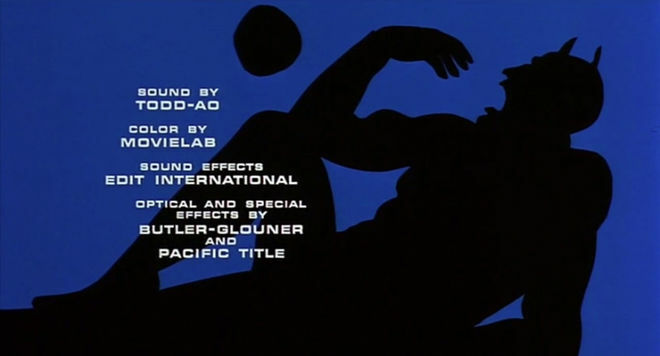 Credits are placed atop subjects and on the edges of shapes, throwing balance to the wind in favour of graphic tension. 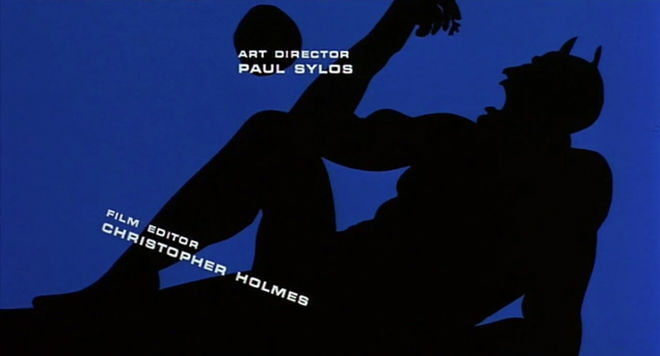 Credits are also placed in positions that seem to indicate a phallic visual metaphor, hinting at events within the film. 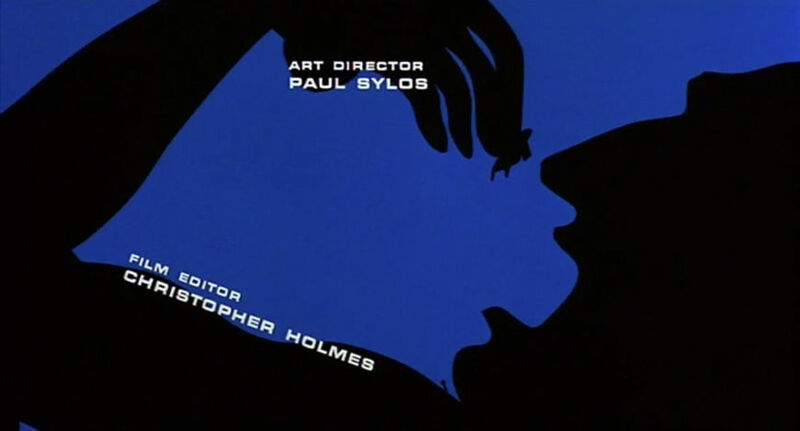 Altogether, the title sequence is a powerful animated piece that bestows the film with a graphic elegance above its B-movie station, gracefully teeing up the audience for a gruesome picture.